Luke Ayling called for head coach Paul Heckingbottom to be given the chance to take Leeds United into next season after making his return from long-term injury. Ayling joined a number of the club’s senior players in voicing support for Heckingbottom as the dust settled on a failed campaign and Leeds readied themselves for a pressing transfer window. Key officials at United, including Heckingbottom, owner Andrea Radrizzani, managing director Angus Kinnear and director of football Victor Orta, are abroad on the club’s controversial tour of Myanmar this week but work for next season will intensify once the travelling squad fly back to England on Sunday. Leeds are yet to publish a retained list but have only one member of their current first-team squad, left-back Tom Pearce, out of contract this summer and more attention will be given to the players who United intend to move on. Several, including goalkeeper Felix Wiedwald and forward Pawel Cibicki, are at risk after a term in which Leeds finished 13th in the Championship, 15 points short of the play-offs. Heckingbottom’s own future has been the subject of intense speculation, despite United paying £500,000 to take him from Barnsley just three months ago. The 40-year-old, whose record of eight defeats from 16 games in charge undermined confidence in him, took a young squad to Myanmar on Monday and has been given no indication so far that Radrizzani intends to replace him. Ayling – part of a small group of experienced professionals taken to Myanmar – has made just one appearance under Heckingbottom, in Sunday’s 2-0 win over Queens Park Rangers, having undergone ankle surgery before the ex-Barnsley boss took charge. But the right-back added his voice to those in the squad who have called for Heckingbottom to remain in his job. 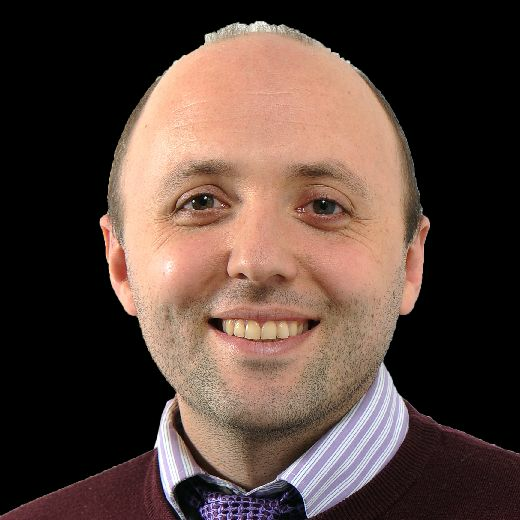 “Him and his staff have come in and done really well for us,” Ayling said. “Training’s been good and there’s been stuff going on around the club that people don’t see. There’s been stuff going on around the club that people don’t see. They’ve been really good and I hope he gets given a chance. I’m sure he will. Heckingbottom brought three members of staff with him from Barnsley in February – assistant head coach Jamie Clapham, head of sport science Nathan Wilder and analyst Alex Bailey – and wants to add another coach to his backroom team. Some who worked under his predecessor, Thomas Christiansen, remain on the books including goalkeeping coach Marcos Abad, set-piece coach Gianni Vio and Benat Labaien, formerly listed as an opposition analyst but now holding the title of assistant coach. It is not yet clear if changes to the backroom set-up are planned before next season. Ayling featured regularly under Christiansen in the first half of the term but was injured in a goalless draw with Nottingham Forest on New Year’s Day. 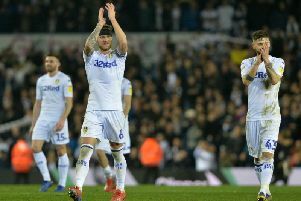 Leeds held a play-off position at the time but, in Ayling’s absence, won four times in 2018 and dropped into the bottom half of the Championship. UNDER PRESSURE: Leeds United head coach Paul Heckingbottom.' Picture: Jonathan Gawthorpe. “You have to look at it and say that when all of our players were fit, we were fourth or fifth,” Ayling said. “Then we started getting injuries and sending-offs and we were playing loads of players out of position. We lost a few (games) and it’s hard to get back. The absences through injury and a flurry of red cards after the turn of the year contributed to Christiansen losing his job in the wake of a 4-1 defeat to Cardiff City on February 3. Christiansen, an obscure appointment and the first of Radrizzani’s reign as owner of United, was sacked after 35 games in charge. Results under Heckingbottom have been no more impressive but a notable development has been his commitment to blooding players from Leeds’ academy. Pearce made his debut in March and Paudie O’Connor earned a run of appearances at centre-back last month. Bailey Peacock-Farrell has staked a claim to be United’s first-choice goalkeeper next season with a 12-game run in the side. “We’ve had some young lads who’ve come in and done brilliantly,” Ayling said. “Pearcey, Paudie, Bailey have been absolutely unreal. “Obviously it’s been a bad season but we’ve now brought three young lads through who’ve shown they can play for Leeds United quite easily. Ayling, who signed a new four-year contract before Christmas, is one of the players who Leeds want to retain. The club’s transfer targets include Kyle Bartley, the Swansea City centre-back who played with Ayling while on loan at Elland Road in the 2016-17 season. Ayling and Bartley are close friends, a relationship going back to their days in Arsenal’s academy, and Ayling promised to “be in his ear” about a permanent move to Elland Road when the pair go on holiday together this summer.